1. Throw caution to the wind and let go of all the Moonlighting anxiety, Jane and Lisbon are together and damn, it feels good. The aftermath of, “That woman in 12-B, I love her. You take care of her!” seems, so far, to be even more enjoyable than the many years of build up. 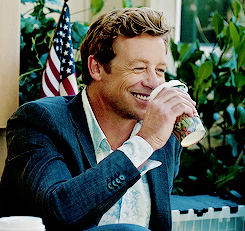 There’s something impossibly charming about the walking heart-eyes emoji that Patrick Jane has become. Since shaking off the Red John albatross, he’s been floundering around the small matter of his deep, abiding love for Lisbon. Now, we see the sunniest incarnation of the man whose darkness has always been driving the plot. Sure, it’s different but, as someone who’s watched many an angstfest of a TV series, letting the light in for this ‘encore season’ is the biggest treat for both the characters and the loyal viewers. Whether we’ll get engagements, marriage, babies, etc. remains to be seen, but no matter how much of this relationship we are witness to, I sense it will be romantic as hell. It is romance that, so far this season at least, has proved to be more entertaining than indulgent, more charming than saccharine. 4. Time is running out, yo. You gotta get on the bus before it leaves the station. There’s no need to do as I did and marathon all six previous seasons, though it helps. Seasons 1 and 6 would be good for context, but procedurals are designed to be accessible. What I’m saying here is, you can do this. I believe in you. 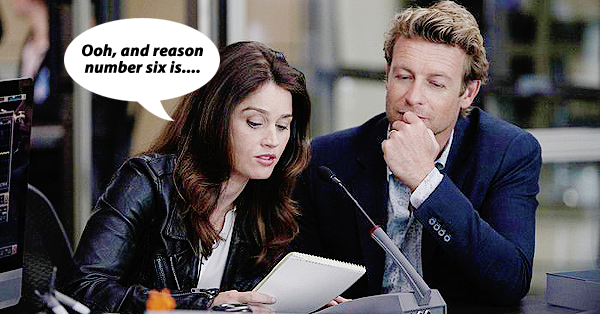 Watching Season 7 as it airs would come with all the joys of social media freak-outs over smitten Jane and Lisbon (aka my Twitter timeline constantly) and week-long periods of wondering what they’re getting up to after each episode ending. If you’re an old viewer who hopped off the bus before the journey’s end then now’s the time to catch back up. It’ll be worth your while, pinkie swear. 6. Old school Mentalist vibes are back. With the Big Bad dead and gone, the cases this season are going to feel a lot more like the fun Season 1 cases, before Red John really took hold. I have a feeling that we’ll be seeing Jane at his most theatrical and Lisbon being pulled into many a scheme, all while Abbott gives an exasperated sigh (what a gift Abbott is, while we’re at it). It’s exactly what I enjoy most about the show, and what separates it from other procedurals. 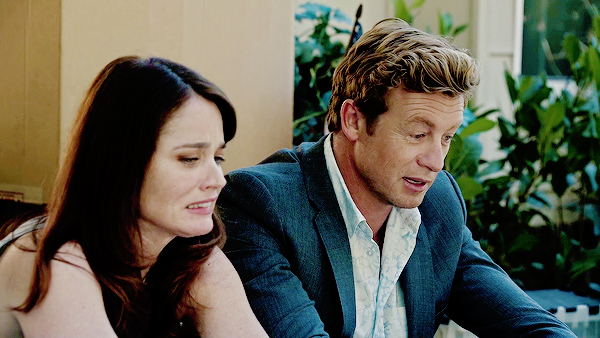 The promise of Jane and Lisbon as fake psychics, in particular, has me pretty darn pumped. 7. If you’ve ever had a favourite show prematurely cancelled, you deserve this. You’ve earned it, baby! From the sudden, cruel cancellations of shows like Firefly and The Hour, to the shows I simply wasn’t ready to let go of like The West Wing (Josh and Donna had only just begun! ), this is retribution for every one of us who has ever experienced television show heartbreak. It’s time to let the sunshine in. I prescribe a 13-episode dose of an ‘encore season’. What are you waiting for? Go, do, watch. I just loved reading your upbeat article! It has everything I feel, too, and I can’t wait to watch it unfold on my screen. Thanks! I’m glad you enjoyed reading! I can’t wait either. It’s going to be the highlight of my TV week for the next few months for sure. The preview for episode two looks great, too. I’m so grateful we got a season 7 at all so I’m going to enjoy it as long as it lasts (and even after that, who am I kidding). The end is definitely going to be bittersweet and I’m probably not ready for it but it does feel nice to finally get to see the characters happy. When The Mentalist is over, it’s over, but until then, there’s ice cream (and 12 more episodes, thank God). Perfectly written – superbly acted – what a treat. I am going to miss this show SO much. It brings me such JOY!